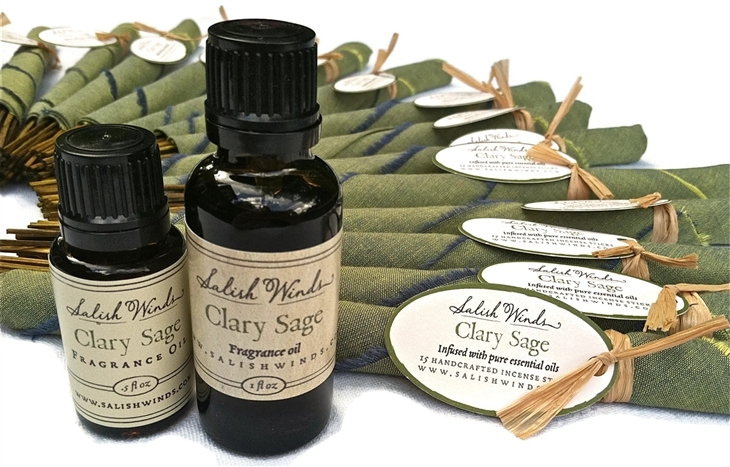 With clean herbaceous top notes and warm, earthy, woody base notes; Salish Winds Clary Sage is a go to fragrance that will fill your home with the scent of a rain soaked forest. Sage is preferred for cleansing old stale energy, or “smudging”. The properties of Clary Sage are said to promote balancing of extreme emotions and restoring inner tranquility. It also smells incredible! Using lots of pure Clary Sage essential oil make Salish Winds Incense and oil a vibrant and unique aroma. Clary Sage Blends beautifully with Lavender and Cedar.